What is peace? What is a culture of peace? What does it mean to be peaceful? What are personal choices, decisions and actions needed to create more peace in the world? What does it take to be an effective peace-maker? Teaspoons of Peace is an approach to all of those questions. It follows on from the Teaspoons of Change concept knowing small actions, multiplied by lots of people equals big change, including for Peace! Thanks to a scholarship from the Rotary Peace Fellowship, d’Arcy has completed a Master of Arts in Social and Cultural Analysis focused on peace studies at an international university in Tokyo, Japan. 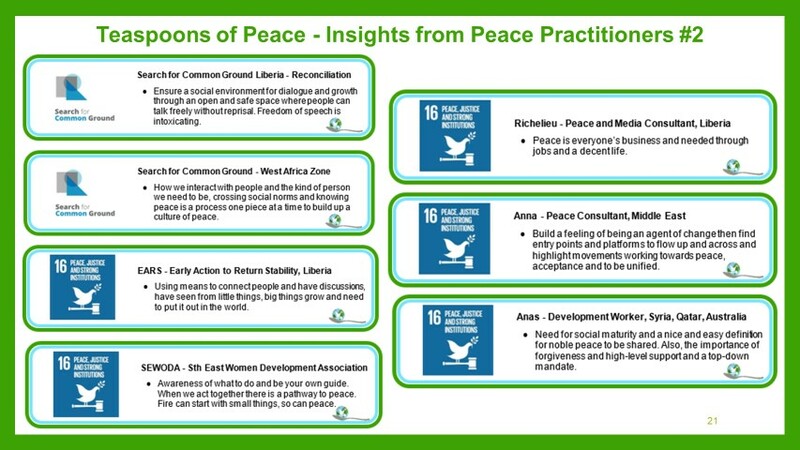 It included research from around the world in different contexts to learn more how Teaspoons of Peace can influence a culture of peace – see final report below. 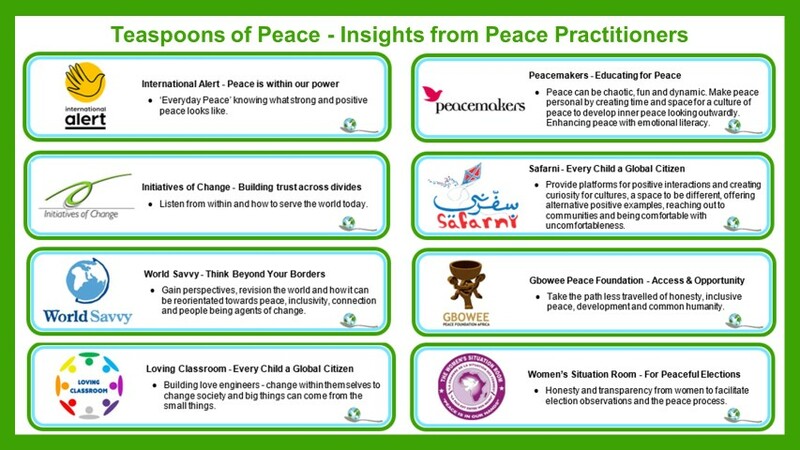 Ask us about peace workshops for school, business & community.